LinkedIn Advertising | PPLS Inc.
Business to business social networking has arrived! LinkedIn is the number one online platform for networking and connecting with your business contacts. 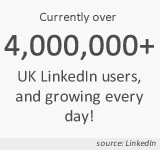 There are over four million UK LinkedIn users, with a new member joining approximately every second. LinkedIn advertising allows for effective B2B Marketing. Using the latest profile-based targeting technology you can gain qualified leads, reaching decision making professionals. Advertise to your exact target demographic with highly relevant ads and minimal wastage. 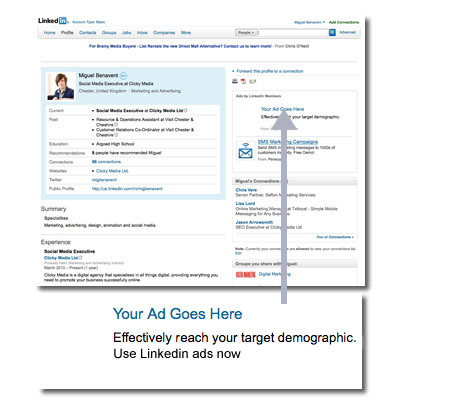 LinkedIn advertising incorporates advanced targeting capabilities including: company size, job role, industry, seniority, location and much more. Here at PPLS Inc.™, we offer various LinkedIn marketing solutions to suit all markets and budgets. We will help you define your ideal target market in order to build, develop and manage an effective campaign to reach your goals. With executives from all Fortune 500 companies on LinkedIn, over half a million LinkedIn Groups and an average of 85 million people-searches being made per month, isn’t it time you jumped on the bandwagon too?